” 202030 ” Guess the number means? ?This is the goal setting of women managers. The Japanese government set it up because they want 30% women managers in corporations by 2020. We call it ” 2020(year)30(%) “. This is the goal setting of women managers. The Japanese government set it up because they want 30% women managers in corporations by 2020. We call it ” 2020(year)30(%) “. Right now, women managers are 12.1%. (The data researched in 2016) It eventually has been growing up since 2009. Still lower than we expected. Right now, women managers are 12.1%. (The data researched in 2016) It eventually has been growing up since 2009. Still lower than we expected. I will show you some gender gap info below. These are global gender gaps. Japan is here at 111th. Unfortunately, Japan is 111th right now. Japan is getting lower and lower.One year ago, it was 95th. It means a lot. Other countries are catching up faster. Perhaps Japan is so slow to do everything compared to other countries. 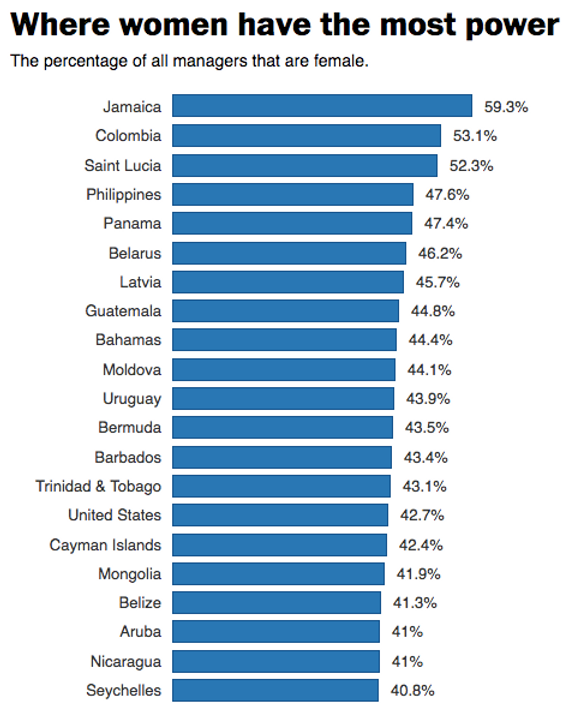 Here are percentages of women managers. In Asia, the Philippines is at the top as 47.6% higher than the US. South America are in the Top 3. As I said Japan is at 12.1%. What we can learn from this is global perspective, such as where we stand right now and where we can start for our future. Let’s move to the Japanese company culture next! How I can exactly express is still the ” old boys club “. Males have been building companies. It means they’ve built the company culture as well.They must be proud of it and it is deserved. However, time goes on. A new era comes. Remember? 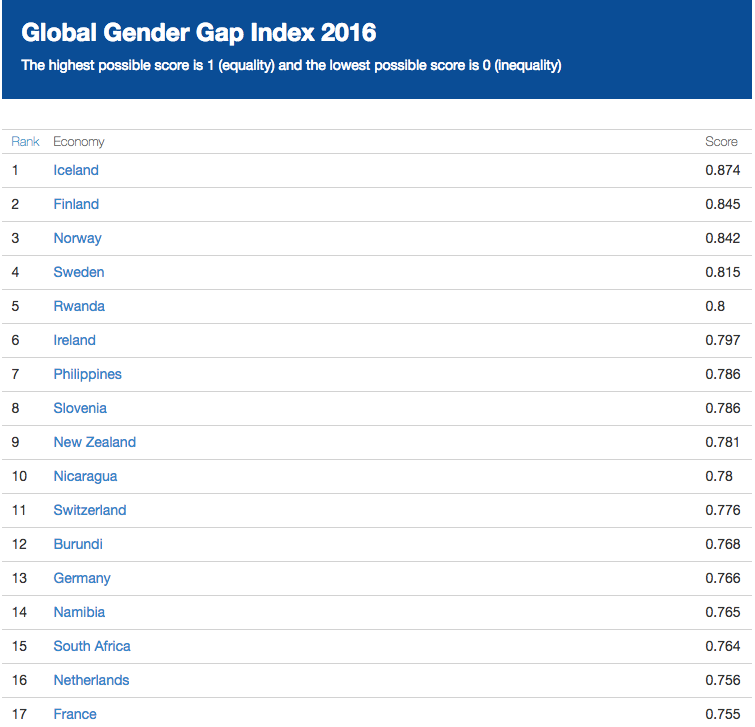 Japan is 111th in global gender gap ranking. We are even a developed country. To be honest, it’s going to be tough to work here for international women. Japanese companies even struggle to work with “Japanese women” right now. They don’t have much knowledge of working with different people(different gender, nationality, and values)nor are ready to do it. Fortunately, they have some potential I can see because they need to change something in their company culture for developing their own businesses.They think of making an innovation by purpose. International women can do it with their different views and the ways of thinking. You may feel the Japanese company culture is conservative when you start working. It is true. Especially, big companies are much more like that. You may feel much better and have comfort in working at a venture company or foreign company. Anyway, this is true. Japanese companies are still developing their own culture to be inclusive and diverse. They are expecting ” differences ” to their culture really. So this is a chance to join now for international women. You can be a ” change maker “. As I said many times it’s tough to work here especially for you. But if you’d like to open to your future, it’s definitely fun and a joy to do. If working at domestic companies is too high of a wall you feel, you’d better choose a foreign company which has a branch located here. Japanese companies need you! Please challenge yourself here!